How did you hear about this service? What other services do they offer? I happened to chance upon their shop. No one recommended the shop; neither did I see the shop in an advert. They repair shoes and punch holes in belts. Not sure of what other services they provide. What were your initial expectations? To have holes punched in my belt. How was the initial reception? If applicable, what was the parking situation? The parking, as is usual on Awolowo Road, is not so great. I parked in the shops designated parking space but it was tight. They punched holes in my belt, and charged N100 per hole punched. They did a good enough job. The lady in charge (I think she is the manager at the shop) is highly unpleasant and rude and as such, I would not recommend the shop to anyone. What did you/didn’t you like? The store has faulty air conditioning, which makes the place unbearably hot. I made this complaint to the gentleman that attended to me, and made a suggestion the second time to the lady (whom I think is the manager) and she went off on a rant about how they will fix it and she pointed to the other ac which she said was working (it was not). I found nothing to like about the store. What’s one thing you’d change/advise the business about? To be courteous towards customers, no matter how discourteous they are to the employees of the business. They also need to learn how to be pleasant and to fix their ac. On a scale of 1-10, what would be your overall rating? And why? 2 out of 10. They did what I wanted but I detest poor customer service and that changed my mind about that place. Ahh. Terrible customer service. My brother uses city cobbler and has same complaints. Will send him this link. His prayers have been answered. You have a lot of nerve to complain about a faulty air conditioner. You went in to punch holes into a belt which i’m very sure took no less than 5 minutes to do and yet you are complaining about an air conditioner not working. With the state of the economy i am sure you know how expensive things are nowadays, which includes buying materials to fix shoes and buying the machine used to punch holes in your belt. Next time you can use a screwdriver to make the hole yourself. Customer service in City Cobbler as far as i know is actually good and if you were having a bad day you should not take it upon yourself to bring down a whole establishment because of your crappy mood. 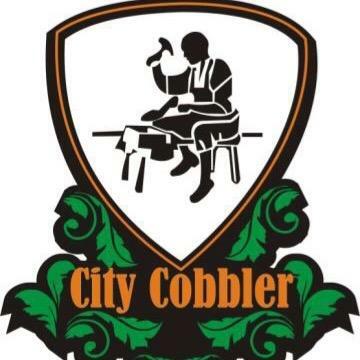 city cobbler – A simple yet interesting concept. you take the service offered by local shoemakers, re-brand with a fancy name and there you have a business. now, considering the amount of trekkers in Lagos, the opportunities are there for massive growth; but first, FIX your customer service experience because if you’re gonna charge me 100 Naira per hole for something i can easily do with a screw driver/hammer or knife, then your overall service better be on point…lol. that said, i think the concept can be really big if managed well. Customer service in Nigeria must be amongst the worst in the world. I went to some store called City Cobbler on Awolowo road in Ikoyi and commented twice about how their air conditioning wasn’t working. The sun had punished me severely all day and I had been sweating bullets. The second time I complained the woman in charge (I believe) went into a rant about how the other AC is working, and that they’ll call the technician to fix the AC that wasn’t working too well. She said it in such a rude, exasperated and unpleasant way that I was shocked. Good thing I had eaten and my head was calm, if not, police would have come to that store today. The customer is King and without their patronage, businesses won’t be in existence. But here, businesses do customers a favor, so you can be spoken to or treated in anyway they see fit. It’s a terrible state of affairs and things need to change in this country. Employees aren’t trained enough these days. It just needs to stop.